The first thing to remember when you want to calculate a gradient on a topographic map is that the two terms “gradient” and “slope” are interchangeable. The gradient change occurring within a specific area on the map reveals the lay of the land. In turn, this helps geologists and environmentalists determine any effect the gradient of the specified area has on areas around it. Erosion is a good example of why knowing the gradient of specific areas is important. Doing a project such as this is easier with a scientific calculator because you may need to calculate arctangents. Place the map on a smooth surface, and choose the area where the gradient needs to be calculated. Do not choose an area that goes over a hill or down and then up a valley. Draw a line perpendicular to the lines depicting the contours of the slope with a ruler. Begin your line on one of the contour lines and end on another one. Measure the line and translate that figure into feet, using the map legend. Calculate the gradient by subtracting the elevation of the lower contour line on the line you drew from the elevation of the contour line at the other end of the line you drew. Divide the answer by the distance in feet represented by the line you drew. Multiply that number by 100 to give you the percent slope of the hill. For example, if the number you arrived at was 45. This means that for every 100 feet traveled in the area marked on the map, the elevation changes 45 feet whether going up or down the hill. Determine the angle of the slope by dividing the change in elevation by length represented by the line you drew. This gives you the tangent value of the slope. Use the arctangent function on your scientific calculator to get the angle of the slope. Place weights on the corners of the map if it curls up while using it. Picture the percent slope as rise or fall over run. Always start and end your line directly on a contour line to avoid imprecise calculations. Straessle, Michael. 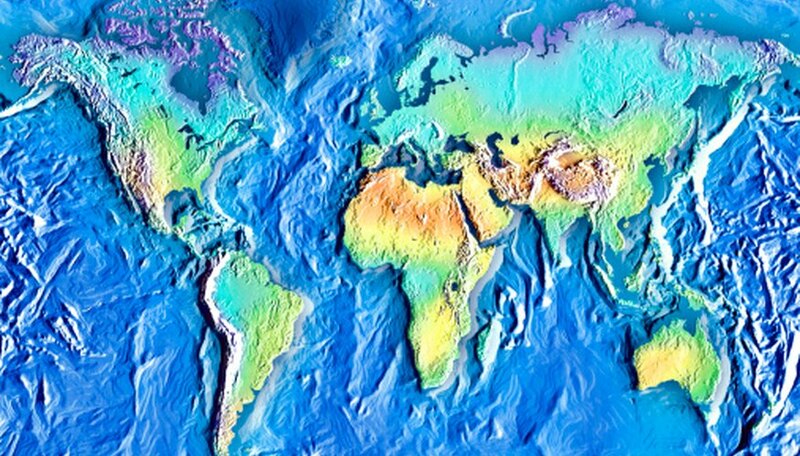 "How to Calculate Gradients on a Topographic Map." Sciencing, https://sciencing.com/calculate-gradients-topographic-map-7597807.html. 24 April 2017.